« Easy access to Seattle . . . 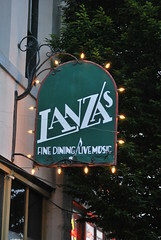 While your visiting Port Townsend, dinner at Lanza’s is a must! This is one of the local favorites – just 3 blocks from the Blue Gull Inn in Uptown Port Townsend. Great atmoshpere and fabulous food!